The Beard Bros hit the road this past weekend making the trek from Los Angeles up to Santa Rosa for the 15th annual Emerald Cup and we’re here to give you the true grassroots view that the mainstream marijuana media just doesn’t have access to. 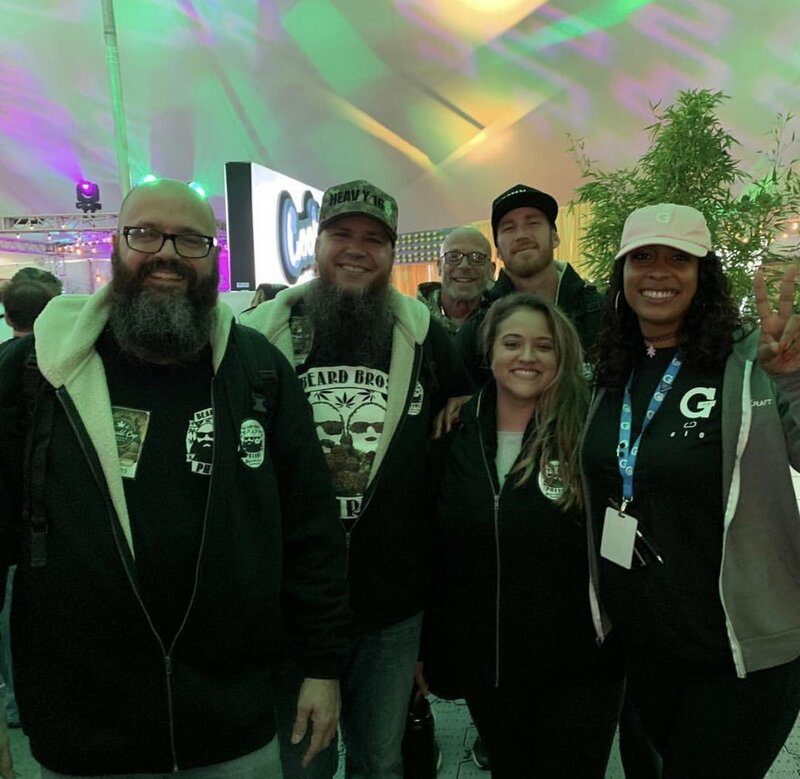 This was not our first trip to the quintessential celebration of all things cannabis but our crew was still eager to see what effect, if any, the lumbering implementation of Prop 64 would have on this increasingly popular event. We arrived in NorCal on Friday night, greeted by a blowing rainstorm that everyone hoped wouldn’t dump all weekend. The following morning, the weather was more forgiving and we made our way to the Sonoma County Fairgrounds roughly 30 minutes before the main gates were scheduled to open. The general admission line was already swelling as upwards of 30,000 people were expected to flood through those gates over the course of the two day event. As luck would have it, just as we walked in we bumped into Tim Blake, the founder of the Emerald Cup, who now shares hosting duties with his daughter, Taylor. Welcomed with his signature smile and ever-genuine handshake, Tim’s warmth was radiant on that brisk December day as he got us up to speed on what he and his crew have been up to since last year. Unlike the cash grabs that we have been accustomed to seeing at too many cannabis events, Tim now has the ability to recycle a vast majority of the profits from each year’s Emerald Cup into the following year’s festivities, and that organic growth was on full display this time around. Don’t get it twisted, there was still plenty of cash being grabbed by the various vendors, and now that our heads have cleared a bit and we are back to work here at Beard Bros. Pharms, we decided to kick out this ground-level report on the Emerald Cup 2018 for anyone who was there this year, or hopes to attend in the future. Anticipating the inclement weather, event organizers took it to the next level in their attempts to keep everyone as high and dry as possible. Besides offering bundles of free-use umbrellas, massive interconnecting tents were built upon heavy-duty interlocking plastic flooring that extended as mud-free walkways out to the wide paved paths that weave through the fairgrounds. The sprawling map and multiple buildings and tent villages fed the impression that attendance was lower than usual, but in reality it was usefully spread out and it was nice to be able to find plenty of space to move around. Once oriented, it was easy to navigate the event, especially given the paper maps that were being handed out. There were plenty of restrooms, and parking was much easier than in years past. Food options were easy to find. . . as long as you appreciate the efforts by the Emerald Cup to go all-organic with this year’s menus. Without a hot dog or Coca-Cola in sight, the higher quality food came at a higher price, but anyone who was lucky enough to get their hands on one of the terpbursting organic milkshakes made with local favorite Three Twins Ice Cream will agree that a few extra bucks goes a long way. BEARD BROS. TIP: Bring your own water bottle/container. The Emerald Cup provides fresh water drinking stations scattered across the venue, but sustainable stoners don’t need paper or plastic cups! Though the Emerald Cup is, at its roots, a celebration of the annual outdoor cannabis harvest, the booths found at this year’s event offered a little bit of everything – including plenty of indoor flower. This is where you could really see the impact that Prop 64 is having on the cannabis industry in California, as many of the names and self-made brands from years past are now roaming the aisles instead of manning the booths. In order to sell cannabis products at the event, the company doing so had to be licensed by the state of California, had to abide by all applicable tax laws, and had to destroy any unsold product at the end of the weekend. UPDATE 12/20/18 - We received word from several vendors from the Cup and from officials associated with the event that the BCC made a snap decision on Sunday to waive the requirement to destroy any unsold/”waste” product. Rumor has it that they will extend this change to all future licensed events. We’ll report back once we have more details but this could be great news! In most cases, this led to the same high prices found in legal dispensaries once $40-50 8ths morphed into $60-70 after all taxes were applied. Still, customers lined up four to five rows deep at booths like Cookies, Zkittlez, and other well-branded, purveyors of high end herb all weekend long to get their hands on exotic and highly sought after strains. Trusted seed companies like Exotic Genetix and Phinest were also stacked several rows deep most times we walked past as everyone from personal use farmers to commercial cultivators tried to fight their way to the front of the line hoping to strike gold for future crops. We’ve also heard complaints that there were too many indoor-grown flowers for sale at what is supposed to be a celebration of outdoor cannabis. Like it or not, the game has changed. Especially in these early years of legalization, your favorite small to midsize craft cannabis producers are struggling to stay afloat right now if they haven’t already gone under – trust us! If they have successfully run the gauntlet to get licensed already, most do not have the extra thousands of dollars to reserve a booth, stock it with product, and man it all weekend. Not yet. Instead, what we will see in the meantime is a lot of well-funded brands that are spending a lot of money hoping to gain the respected foothold in the community and culture that many of us have earned, but have not yet had the opportunity to truly capitalize on. We enjoyed spending time with friends at Carter’s Aromatherapy Design, Flav, G Pen, and more – we traded hugs with Mila the Hash Queen herself, even ran into the Clout King and scooped some really fire flowers from their squad. We linked up with our two “You’ve Got Greens” contest winners - @pakaloloinparadise and @rosinlips - and hooked them up with some fresh Beard Bros gear. Thanks for your support, fellas! We spent some quality time with our old buddy Fabian from the highly recommended Propagating Purpose podcast. We smoked with @weshouldsmoke, twice, and spread our support far and wide as we re-upped our own personal stashes and secured stocking stuffers for our luckiest friends and family. BEARD BROS TIP: If you are hoping to get your hands on a certain strain of flower, or a specific clone or seed, consider paying the extra money for the VIP Pass to the Emerald Cup which grants you entry to the event one hour before the general admission. Since companies have to try to estimate how much product to bring without wasting any leftover at the end that they cannot bring back with them, supply can drop fast. Grab a map, make a beeline for your target booth, and don’t let the lines deter you. Get what you came for! This year’s Emerald Cup featured an incredibly wide array of educational and political speakers that touched on topics ranging from regulation, to social equity, and everything in between. Though we had our sights set on seeing some friends and respected colleagues do their thing, the truth is that we can barely walk 20 feet without being stopped by a peer who wants us to talk pot right on the spot. So we light up another joint and we hold another roaming seminar, Beard Bros style! Seshing and talking cannabis with you guys is honestly priceless to us, but personally knowing many of the speakers slated over the weekend, we can honestly say that the seminars and music alone are worth the price of admission. As for the music. . . we tried, we really did! By the time the acts hit the stage each of the two nights, however, we were already on a mission for dinner and a soft place to sit for a while. BEARD BROS TIP: If there is a specific forum talk or musical act you really want to experience, set an alarm on your phone or watch so that you don’t get distracted by the surrounding sensory overload. What is a Cup without a contest? For 15 years, the Emerald Cup has sought to elevate the best sun-grown cannabis in the land to the top of the totem to receive the appreciation it is due. This year we saw the most variation in contest categories, as legalization rears its head once again. All flowers, concentrates, tinctures, topicals, edibles, etc. were broken down further into two parent categories designating the products as being created for “Personal” use, or “Licensed” products being made for market. Another designator separated the purely sun-grown/outdoor product from any light-assisted/greenhouse cannabis. In all, there were nearly two dozen different categories. You can find a full list of the winners HERE, but it was the overall atmosphere at the awards ceremony on Sunday evening that really encapsulates the entire experience. The genuine tears of joy and pride that we saw streaming down farmers’ faces reminded us once again that the real, dirty, grimey, tough, old school, cannabis community is not even close to giving up or giving in to some Disney-fied version of weed. Sustainable and regenerative farming and those who follow this practice in the cannabis space were rightfully recognized and a Lifetime Achievement Award was given to Willie Nelson who made his way to the stage amid a roar of cheers and applause from the crowd. 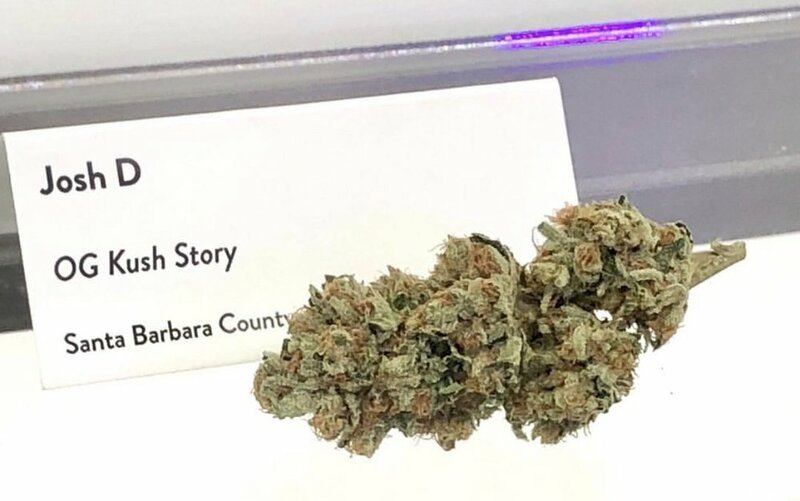 We even got to stand by our good friend Josh D (@therealogkushstory) and proudly watch him earn a 2nd Place award for Licensed Mixed Light Flower with his signature strain from Santa Barbara County. As the rain came down outside, the vibe couldn’t have been any higher inside as farmers and fans exchanged handshakes, hugs, and High 5s in celebration of another successful harvest. BEARD BROS TIP: No matter what your goals are for your next Emerald Cup trip, be sure to attend the Awards Ceremony to get a feel for why the Blake family and their team put in so much effort each year. Look, we love Southern California, but there is something to be said for the magnificent natural beauty of NorCal and Santa Rosa is a great example. There are lots of options for all sorts of dining and overnight accommodations in the region surrounding the fairgrounds, and getting around to various after parties is a breeze with ride-sharing apps or just driving yourself. We’ll be diving deeper into the history of the event in upcoming articles, but lots of heads can remember the roots of the Emerald Cup when it was an underground invite-only event still held at “Area 101” up in the mountains of the Emerald Triangle. Just as many of the old school folks likely shook their fist at the idea of moving the event down the mountain and into the public eye to Santa Rosa so many years ago, it’s easy to get disgruntled at the newer, more polished look that the Emerald Cup has taken on over the past few years. Let’s face it, a lot of the folks in dirty jeans and well-worn work boots probably don’t buy into the Cookies hype, but they are both a part of this incredibly diverse industry now and the Emerald Cup offers a full-flavored hybrid of both worlds. For those who just cannot make the trip due to the far-flung destination, fear not. . . The Emerald Cup has partnered with the companies behind blockbuster events like Lollapalooza and together they plan to take the show on the road for related events in SoCal (stand up! ), across the country, and even internationally. No matter where they plant their flag in the future, you can be confident that the deeply organic feel associated with the steady rise of the Emerald Cup will always be present as Tim and Taylor Blake continue to cultivate this communal celebration for years to come. At Beard Bros. Pharms we highly recommend The Emerald Cup and we can’t wait to see what’s coming next. Our most sincere THANK YOU to everyone who took the time to say hello in person this weekend - we love you guys!